Last year it was revealed former BioWare general manager Aaryn Flynn joined tech company Improbable as a general manager for its North American efforts. We recently had the chance to meet up with Flynn and Improbable’s CEO, Herman Narula, to talk about the evolution of the company and their plans to create a first-party RPG out of Edmonton, Canada – the same city as BioWare’s main studio. “Surreal is a good word for it,” Flynn says about watching Anthem’s launch and its subsequent reception. As one of the leads in the studio that helped kick the project off, Flynn says he feels a lot of emotions watching the game’s turbulent release. “It’s tough. But at the same time I know they’re working so hard on it. Mixed emotions, surreal – those are all good words [for what I’m feeling]… Fiscal years are fiscal years. You don’t have to squint too hard to know what’s going on.” Twenty months after leaving BioWare, Flynn now has two responsibilities at Improbable: helping their North American partners and overseeing a first-party studio development team creating a new RPG. Above: BioWare’s Mark Darrah, Aaryn Flynn, and Casey Hudson talk to Joe Juba in 2013. 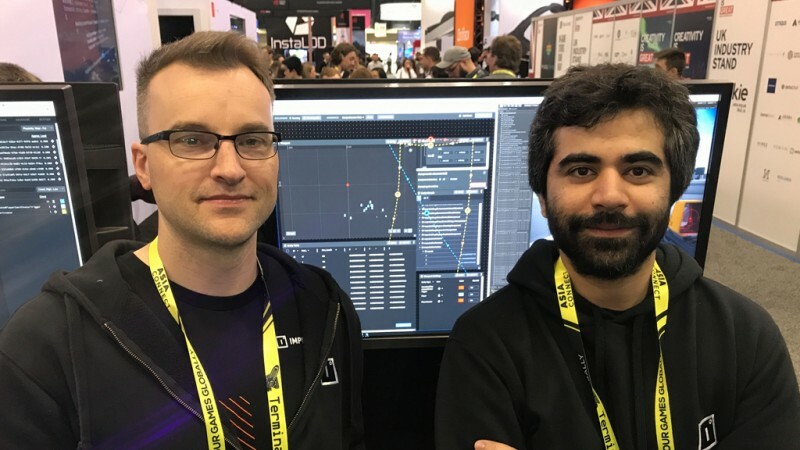 Improbable’s main product is SpatialOS, a platform that runs in the cloud and manages all of a game’s server-side data. It also includes tools that help game developers better track the state of their games to help with the debugging process. Flynn says that Narula and the rest of the team at Improbable are allowing them to focus on the player experience, and there’s no requirement the team build the game around the benefits of SpatialOS and its pillars of “scale, persistence, and simulation.” He hopes this will allow them to create bigger games with smaller teams, focusing less on the tech and more on the creative process. Above: Aaryn Flynn on the left and Improbable’s CEO Herman Narula on the right. 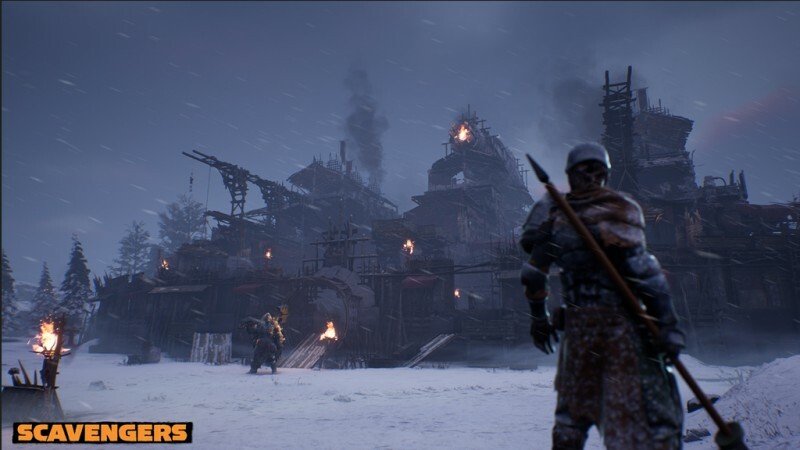 Above: A screenshot from Midwinter Entertainment’s Scavengers, built using SpatialOS technology. Narula wouldn’t comment on whether or not he’s discussed the compatibility of SpatialOS’ cloud-based technology working with either Sony or Microsoft’s next console. When asked where all of the funding to support such a large company is coming from, Narula fires back with a joke. “Where’s the money coming from? Drug lords. It’s all about the drugs. Drug lords. Not just regular drug people, lords. I want you to put ‘lords.’” Narula quickly clarified, saying that the world acknowledges that gaming and specifically online gaming is the future and there is plenty of tech funding available for a “credible tech company” like Improbable to enter the space. While it may be a while before we see the release of Improbable’s RPG, it’s nice to know that up in Edmonton there’s a talented team working on creating something brand new for players.